Max Payne writer Sam Lake is returning to the franchise. Max Payne is a great character because he's part of a great story. Actually, it's a terrible story, beginning with the vicious murder of his wife and newborn daughter and leading through the Mafia, the Russian mob, the world's sexiest contract killer, a secret society with ties to the U.S. government and more - and that's just the first game! 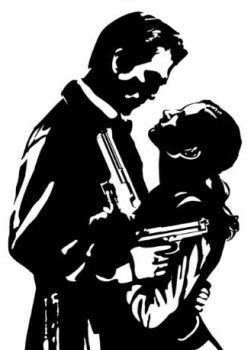 Fortunately for those who don't know their Vinnie Gognittis from their Vladimir Lems, Rockstar and Marvel are putting together a three-part Max Payne comic series that will look closer at Max's early years and the events "in and around" the first two games that led up to Max Payne 3. The books will be penciled and inked by Fernando Blanco, who's worked on numerous titles for Marvel, DC, Dark Horse and others, and sport cover art by Greg Horn. But the really exciting news is that the book will be co-written by Rockstar co-founder Dan Houser and Sam Lake of Remedy, the man who actually created the character and wrote the scripts for the first two games. Lake also portrayed the character in the original Max Payne, and his presence promises to give the series a big credibility boost with old-time fans of the franchise. The Max Payne mini-series will be released as a free digital comic via the Rockstar Newswire, the Max Payne 3 website and "additional digital comic channels," and will also get a limited print run. The first issue, "After the Fall," is expected to come out in the next few weeks.